AHEPA was founded in 1922 in Atlanta GA to help and protect immigrant Greeks from racism and discrimination they faced when arriving to the United States in search of a better life. Chapter 218 Little Fort is among the oldest chapter's in the AHEPA organization. Our chapter was founded in the city of Waukegan IL, our activities have since expanded to encompass all of Lake County IL. We support charitable causes within our chapter area, state, national, and international level. We have made an impact on our community since the inception of our chapter and continue to do so. We strive to make a larger impact year after year. District 13 covers all IL and chapters of Milwaukee and Madison in WI. AHEPA National Headquarters is located in Washington DC. 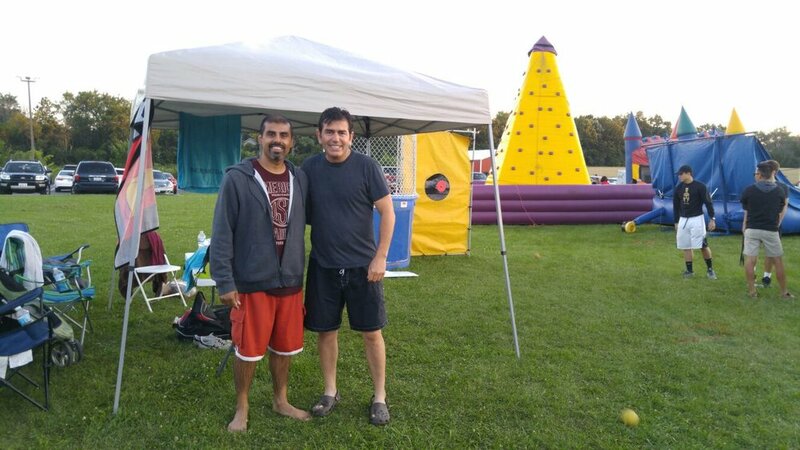 2017 Little Fort Dunk Tank atracttion at St. Demetrios Church (Libertyville) Summer Fest. Special news, events, and messages from our Chapter, neighbor Chapters, District 13, and National level. Chapter 218, neighboring chapters, district 13, and national news events are listed below. Please view below to see if you may be interested in joining us at an AHEPA sponsored event or contributing to our cause. All coming events will be listed on the calendar at the bottom of the page. Come back often as we are always adding new information below. It is with great regret that we inform all our AHEPAN brother Dr. Nikos Panacos passed away on Tuesday February 19. He was a Lifetime member of AHEPA, he dedicated over 50 years of service to our organization. He held many positions in the chapter throughout the years and continued to show his presence. We was also a important person in our community. He will be dearly missed by his chapter brothers, Church community, friends, and family. SUNDAY MAY 19: AHEPA District 13 will be hosting a movie screening of “Greece Year Zero” documentary. This is a documentary covers the last 100 years of Greece’s history. We will be hosting a guest speaker, Dannis Koromilas. He is the very same person who created the film. He has a wealth of information on the movie and Greek history. More information for this movie, screen date, ticket prices, etc coming soon. If you wish to receive updates on this movie event please send us your information on our contact page. Our annual Smoker is coming around the corner. WE have decided to change venues from previous years. We will be hosting our Smoker at Jimmy’s Charhouse in Libertyville, IL. Come out for good food, good times, and for a great cause. The proceeds of our Smoker benefits our Scholarship program and other charities. Click below for a copy of the full Smoker Fly that contains the ability to mail in a ticket purchase. Chapter 218 will be hosting our annual dinner dance with a special twist. We will be hosting AHEPA District 13 Convention as well. We welcome and look forward to seeing our AHEPAN brothers, Daughter of Penelope Sisters, and many many friends and families. District 13 distinguish guests will be attending the convention at St. Demetrios Orthodox Church in Libertyville. We invite delegates with their guests, our friends, and our families to attend the dinner dance at Glen Flora Country Club with The Hellenic 5 to entertain us with live music. We will be honoring Chapter 218 AHEPAN of the Year handing out 2019 scholarship winners, and enjoying the evening. Click on the buttons to download the flyer for dinner guests or delegate packet for convention guests. Chapter 218 set off to watch the Milwaukee Bucks on November 24. A group of 20 met and cheered on the Greek Freak and the Bucks that evening. If you missed out, there will be more opportunities from other chapters hosting Greek Nights in Milwaukee and Chicago. 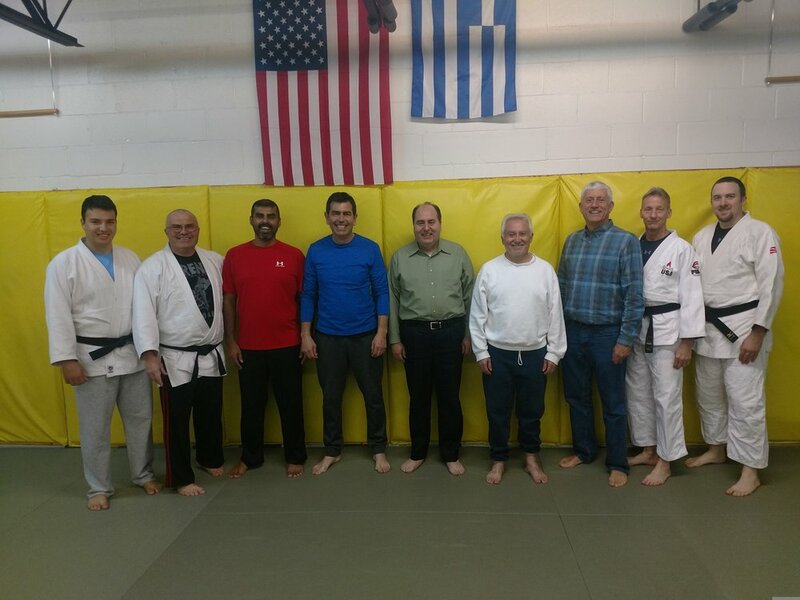 Our chapter recently held a social event at Arena Training Center for some judo lessons. We would like to thank our host and coaches who took it easy on us. After some warm ups, sparring, and a lot of laughs. Enjoy the preview videos placed here. We are working on adding a few more. 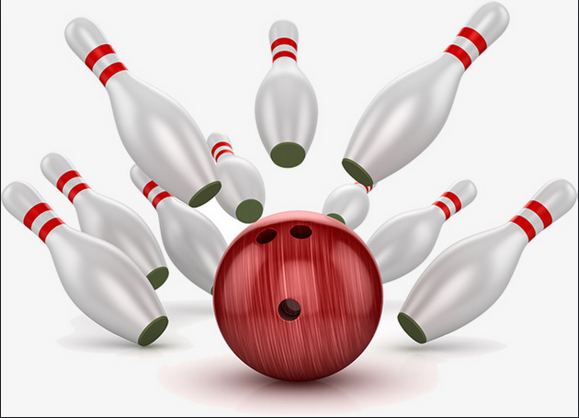 Thanks all for coming out and joining us for another great event of bowling. Come back as we look to schedule another event in March.